Walton on the Hill Station was situated on the Cheshire Lines Committee’s North Liverpool Extension Line which connected its main Liverpool to Manchester line to the north Liverpool docks at Huskisson by skirting through agricultural land to the east of Liverpool. When the line opened Walton-on-the-Hill was the terminus, but seven months later on the13.7.1880 services started running through to Husskison. During 1885 the station became a terminus for passenger services once again when Huskisson closed. Walton on the Hill was located on the western point of the Walton Triangle at the mouth of a tunnel at what was a busy railway location right up to the late 1960s. Adjacent to the station was the Walton on the Hill engine sheds and sidings. The passenger station closed on 1.1.1918 and was a very early casualty to road competition. However it remained virtually intact until the early 1980s when the area was developed for housing and the station demolished. The line closed in August 1975 and was lifted in the spring of 1980. 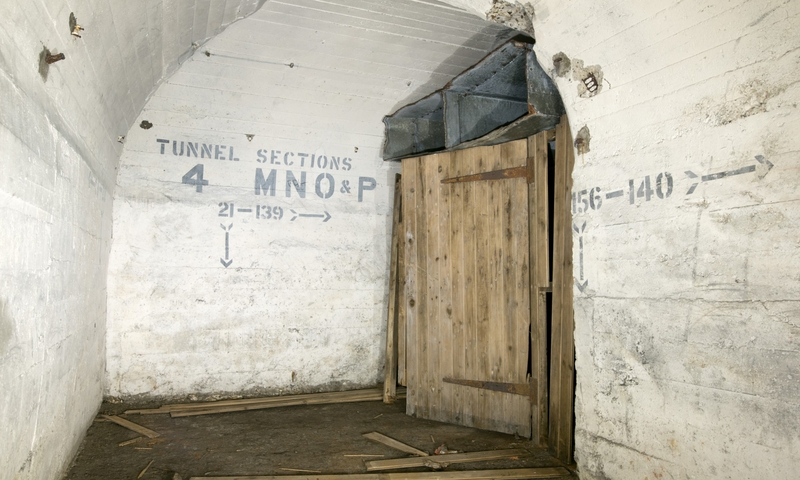 The tunnel was a collection of three tunnels, two approximately 200 yards in length, and one 600 yards in length. The tunnel is an interesting as two sections of the tunnels break through into partially constructed tunnels, which show how the tunnels were constructed during the Victorian Era. These partially constructed tunnels were part of a plan to expand this section of railway in order for it to carry more trains through the area.